In their efforts to lobby city council members for measures to increase daytime foot traffic, businesses in Hermosa Beach sometimes complain of feeling hidden in plain sight. This weekend, dozens of them will have a chance to be seen, all in the same place. This Saturday, Leadership Hermosa will host Market 90254, a gathering of local businesses in an indoor-outdoor gathering on Cypress Street. The event will feature samples from local restaurants, merchandise from retailers, and is intended to introduce locals to businesses with which they may not be familiar. Leadership Hermosa is a nonprofit group dedicated to civic education of local residents. Each year, participants produce a project intended to leave a mark on the city. Last year, the group hired artists to use aspects of city history to decorate local utility boxes. Andrea Cannistraci, a member of this year’s Leadership class, said the group ultimately selected the project because they saw a need to make the city’s residents more aware of the offerings that exist right in their own town. “It can be easy to take things for granted, even great things. So many people live here, but don’t really go to the beach,” Cannistraci said. Among the businesses will be Locale 90, a gourmet pizzeria on Hermosa Avenue which opened at the beginning of the year. Co-owner Jennifer Mentesana said she was excited about participating as soon as she heard about it. The pizzeria, with a first location in Redondo and others planned, was originally envisioned around a close connection with those living nearby. Locale 90 will be bringing its mobile, wood-fired pizza oven to the event, offering Neopolitan pizzas and house-made meatballs. Cypress Avenue, the historic heart of Hermosa’s surfboard manufacturing industry and one of the few areas in the city zoned for light-industrial activity, will play host. Restaurants will set up mobile food offerings in a parking lot west of the city yard, while retailers will hawk their wares inside neighboring Hermosa Design. “It’s so much more than a food and wine festival. It’s spotlighting great things in this cool part of Hermosa,” she said. Many of the operations located in and around Cypress are opening their doors for the event. Surf industry stalwarts like Barahona Surfboards and Aquatech Glassing will let casual surf consumers in on a side of the business they might not otherwise see. Studio 637 will have live acoustic acts playing as visitors tour its recording studios. And the Mahamamudra Kadampa Buddhist Center will open its library and meditation room, complete with a large bronze statue of the Buddha. 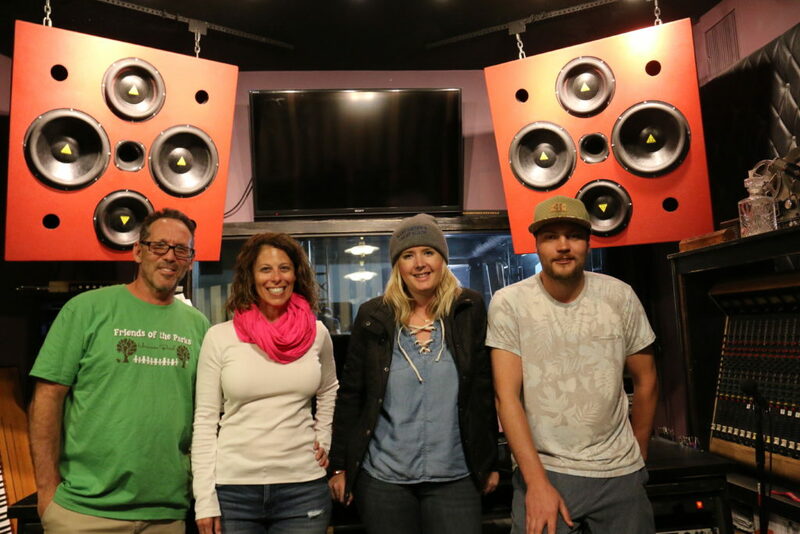 Leadership Hermosa members with producer/engineer Alex Lockwood inside Studio 637, one of several Cypress Street businesses that will open their doors for the event. “There will probably be a bit too much street noise for meditation, but I can talk to them, and perhaps I can recommend a book on Buddhism,” said Gen Kelsang Tangpa, resident teacher at the center. Adam Milovani, another member of this year’s Leadership class, said that Cypress was an ideal choice for the event because, like many of the businesses that will be featured there, it is an under-appreciated gem. He first became aware of the area during a city-sponsored walking tour for PLAN Hermosa, the city’s revision of its general plan. (Drafts of the plan have indicated that the area will remain zoned for light-industrial use.) Now, Milovani hopes that it will instill in people a greater appreciation for the city’s historic role in the surf industry. “I’d lived here for 30 years and I’d never really paid any attention to it,” he said. At least some of this is likely due to what has been described as a difficult business climate, especially for retailers in the city’s downtown. Online shopping has made life harder for all brick-and-mortar stores, and rising rents in the city are also putting pressure on bottom lines. Brian Cooley, co-founder Wicked+ on Pier Avenue, said that although he finds Hermosans to be aware of the importance of shopping locally, more can still be done. Wicked+ will be present at Saturday’s event, and hopes it will be an opportunity to reach even more people. “There’s a tremendous amount of support from people that consciously shop local. 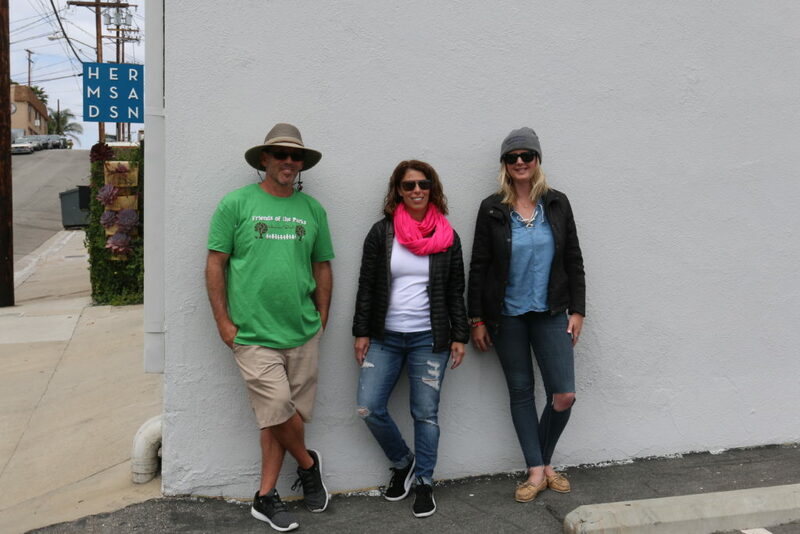 But there’s still a disconnect, and an opportunity to create more awareness of our locally minded (and mostly locally owned) along Hermosa Avenue, upper Pier Avenue, Pacific Coast Highway, and Cypress Avenue” Cooley said in an email. Market 90254 will take place from 3 p.m. to 7 p.m. this Saturday near the intersection of 6th Street and Cypress Avenue. For tickets, go to market90254.com.